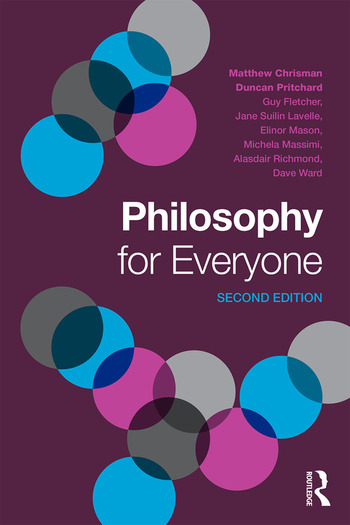 Philosophy for Everyone begins by explaining what philosophy is before exploring the questions and issues at the foundation of this important subject. Metaphysics - fundamental questions about the nature of reality, such as whether we have free will, or whether time travel is possible. This book is designed to be used in conjunction with the free ‘Introduction to Philosophy’ MOOC (massive open online course) created by the University of Edinburgh’s Eidyn research centre, and hosted by the Coursera platform (www.coursera.org/course/introphil).This book is also highly recommended for anyone looking for a short overview of this fascinating discipline. Matthew Chrisman, Duncan Pritchard, Guy Fletcher, Jane Suilin Lavelle, Elinor Mason, Michela Massimi, Alasdair Richmond, and Dave Ward are all members of the School of Philosophy, Psychology and Language Sciences at the University of Edinburgh, UK.